$11.75 ea. $7.50 ea. $6.94 ea. 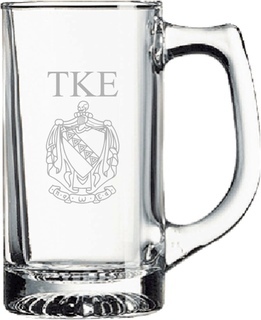 The 25-Ounce Big Sport Mug is one of the best-selling styles at Greek Gear. 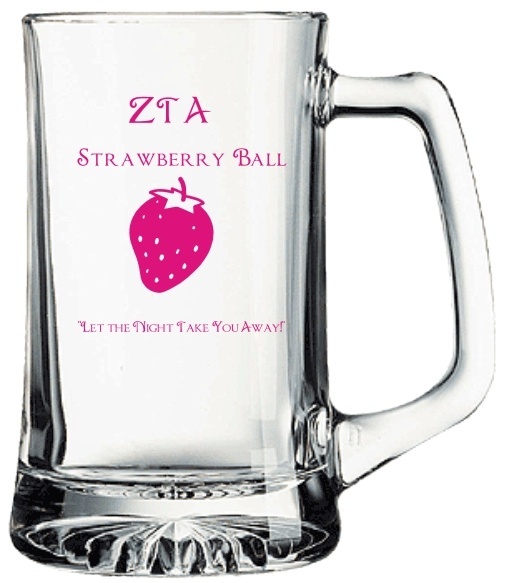 The custom printed glassware features a heavyweight bottom to prevent tipping, an oversized handle and thick, straight sides. The thick glass holds an impressive 25 ounces of your favorite beverage and is a must-have for properly quenching your thirst. 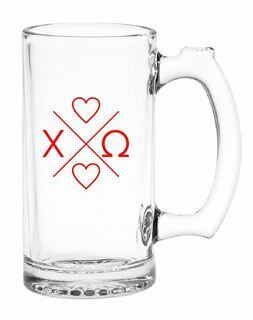 Of course, a plain mug just wouldn't do for our discerning fraternity and sorority members. Design your own 25-Ounce Big Sport Mug with your own custom design to show off your Greek pride or to commemorate a special event. With our convenient online design feature, you're only limited by your imagination. Choose from dozens of Greek initials, crests and clip art images to get your design started and to coordinate with the fraternity or sorority of your choice. Once your design is finished, simply place your order and we'll do the rest. 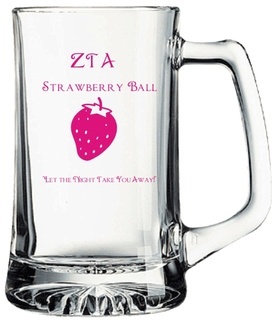 Please note that there is a $40 setup charge and 36-piece minimum order for all custom printed glassware. Printing is in one color only.